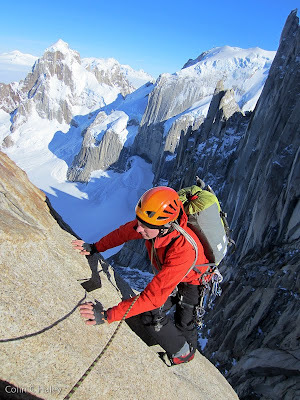 For Jon's last window this season in Patagonia, we hiked back up to Niponino on the last day of 2012, both with lingering colds. 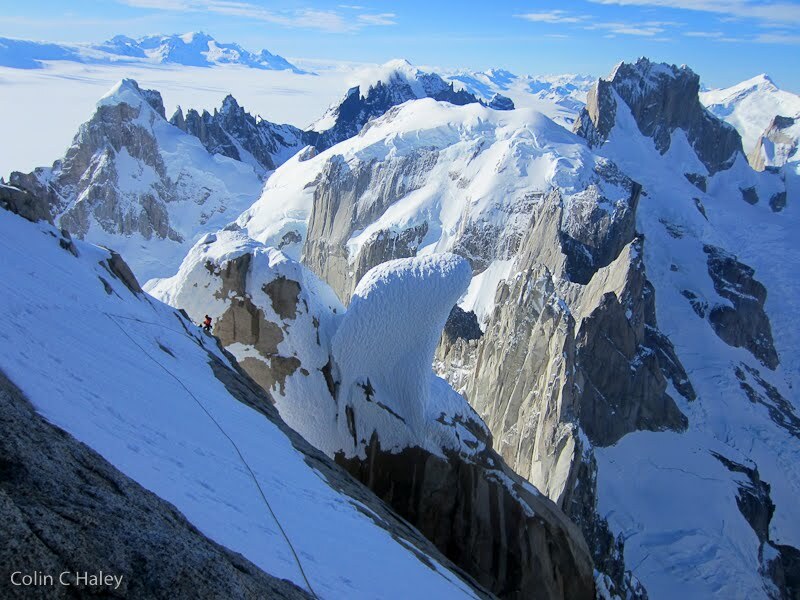 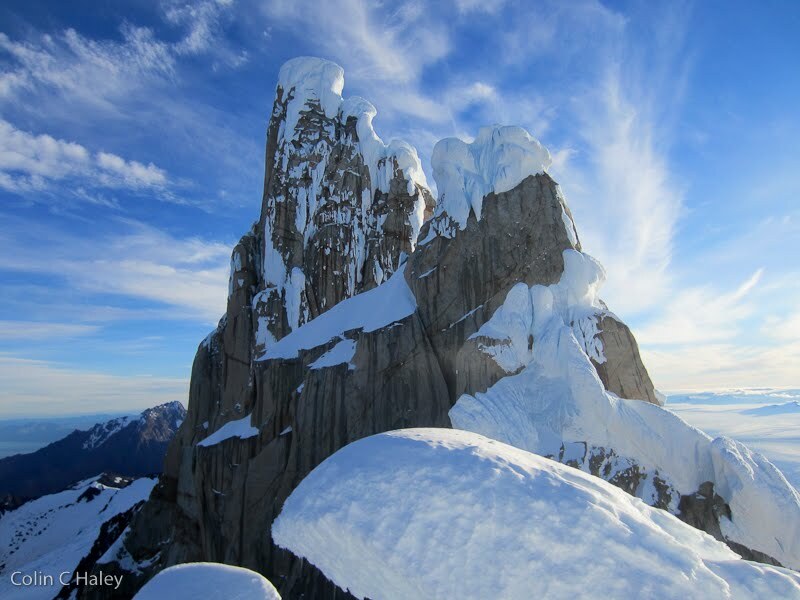 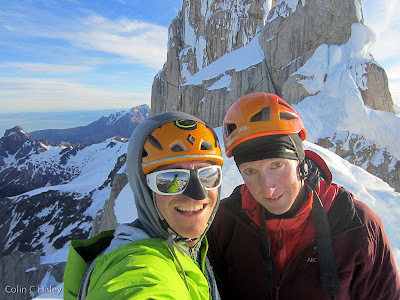 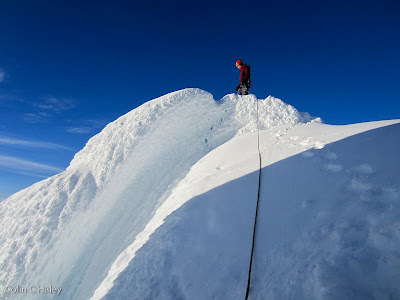 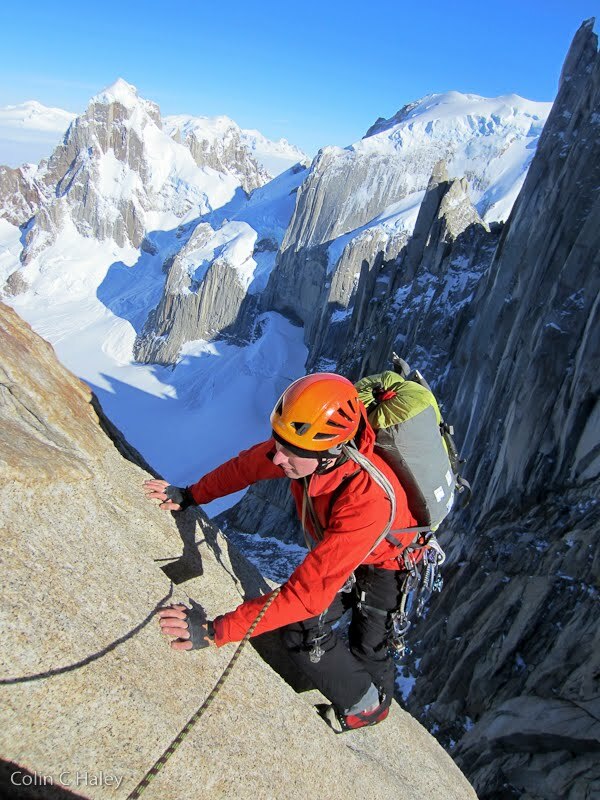 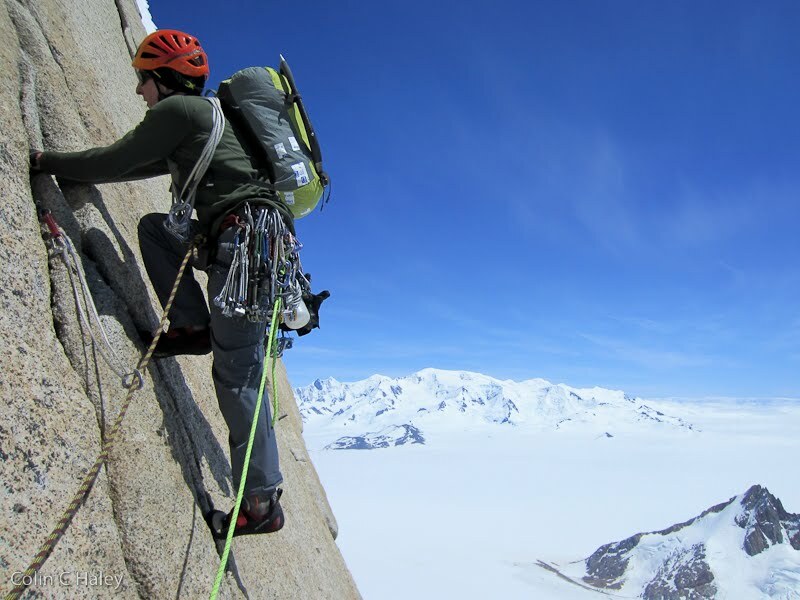 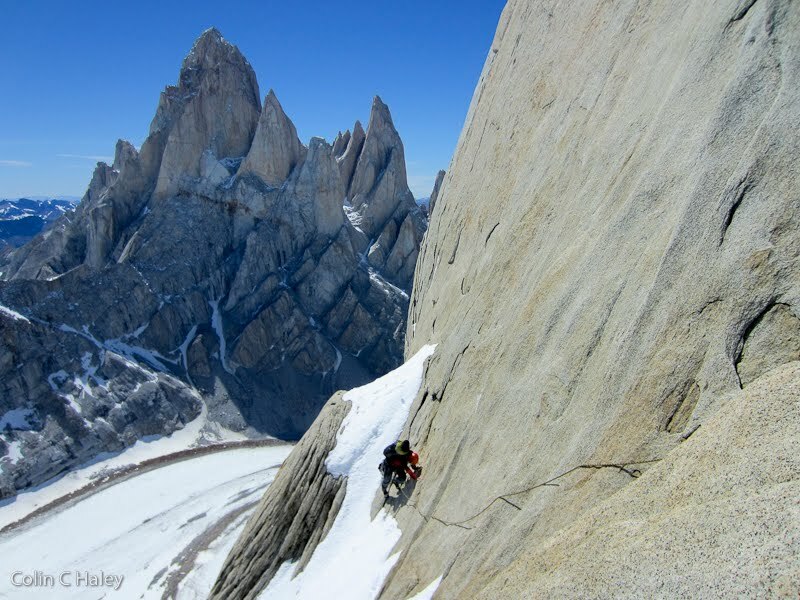 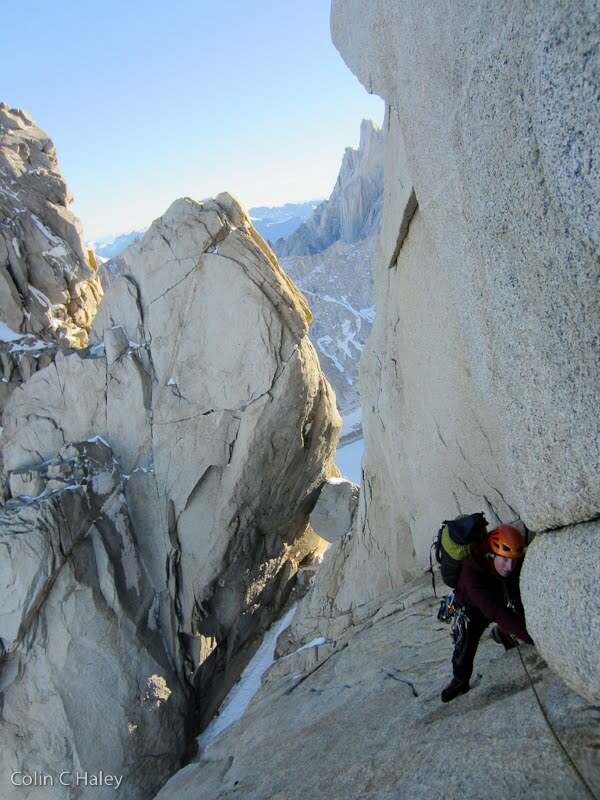 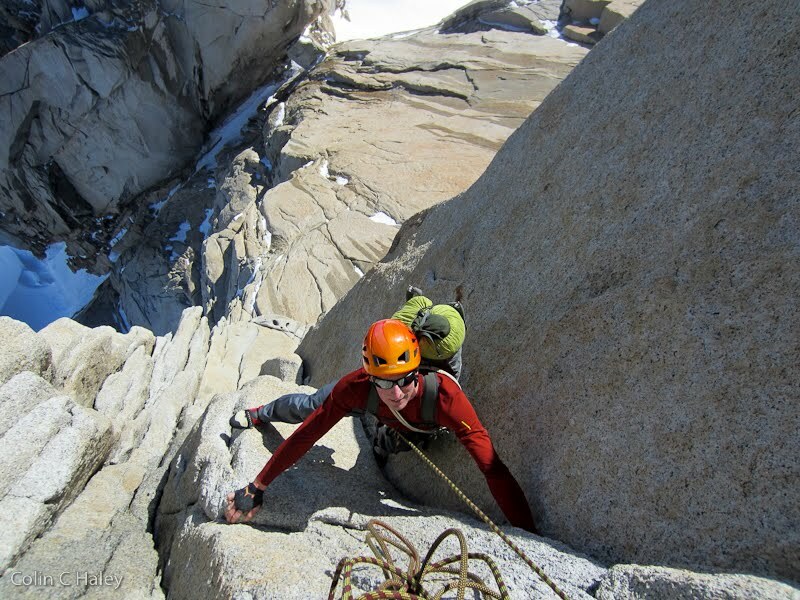 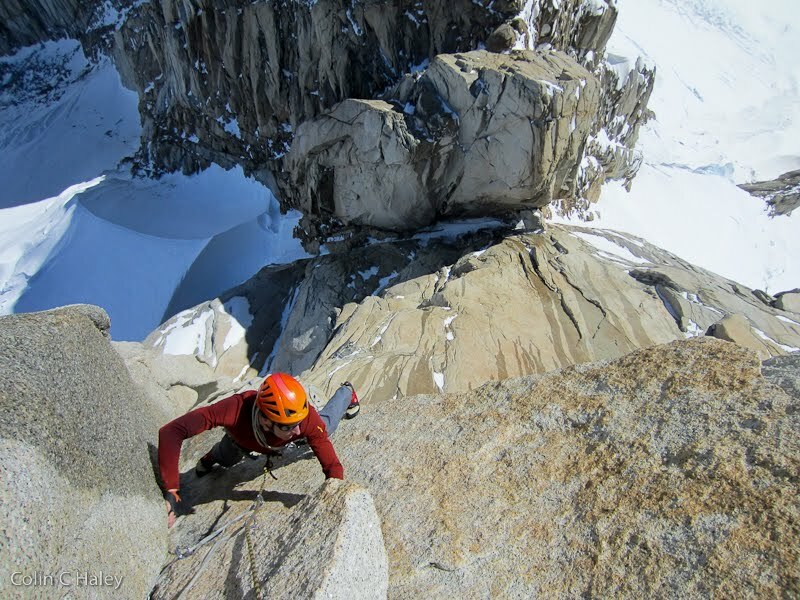 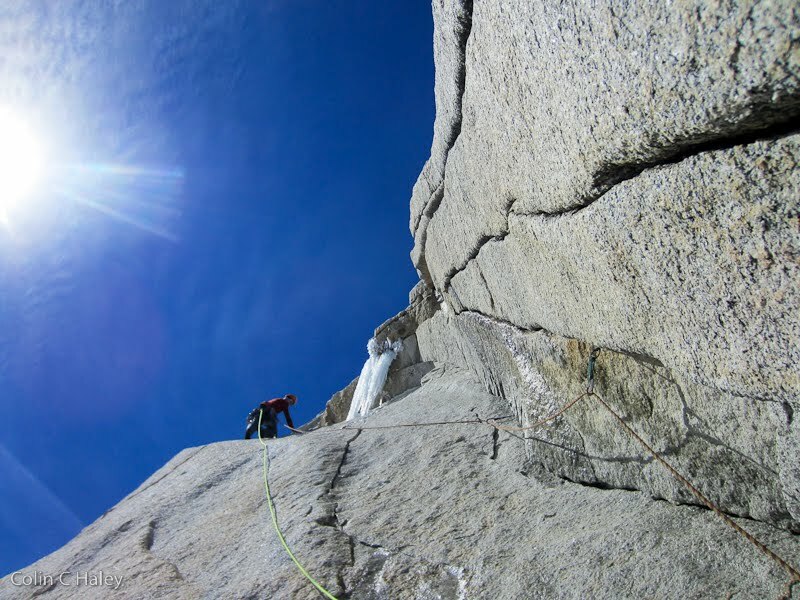 On the first day of 2013 we left Niponino early and headed to the Standhardt Col to try "Festerville," the north ridge of Cerro Standhardt, first climbed by Timmy O'Neil and Nathan Martin. After a lot of climbing in crampons over the past few weeks, it was nice to switch to rock shoes for a route, and we were both very impressed by the quality of climbing on Festerville. 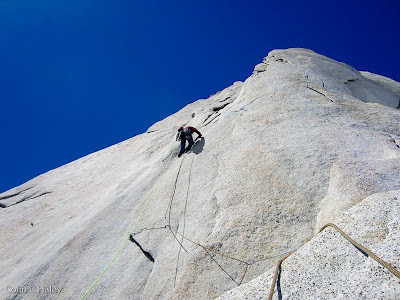 Jon is a purist, so we didn't bring jumars and tried to free-climb every pitch. This for sure made us slower, but I have to admit it was fun at times to genuinely "try," just as if on a pitch back in Squamish. 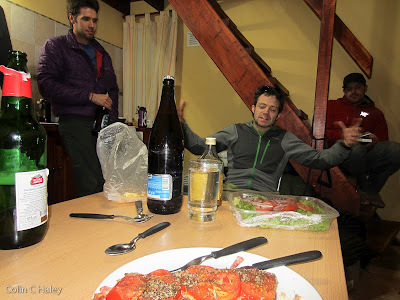 We topped out in the late evening, as usual finished the rappels early in the morning, and after a nap in Niponino hiked back to town. Festerville is definitely a route I would recommend!